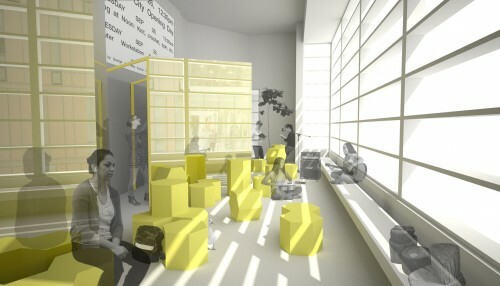 In collaboration with New York-based common room architects, students at Barnard + Columbia Undergraduate Architecture (b+c a) designed a temporary installation to transform student space at the school's Altschul Atrium. The Altschul building, a modernist structure built in 1969, sits on the northwest corner of Barnard's campus facing east towards the Weiss/Manfredi-designed Diana Center, which opened in January 2011. 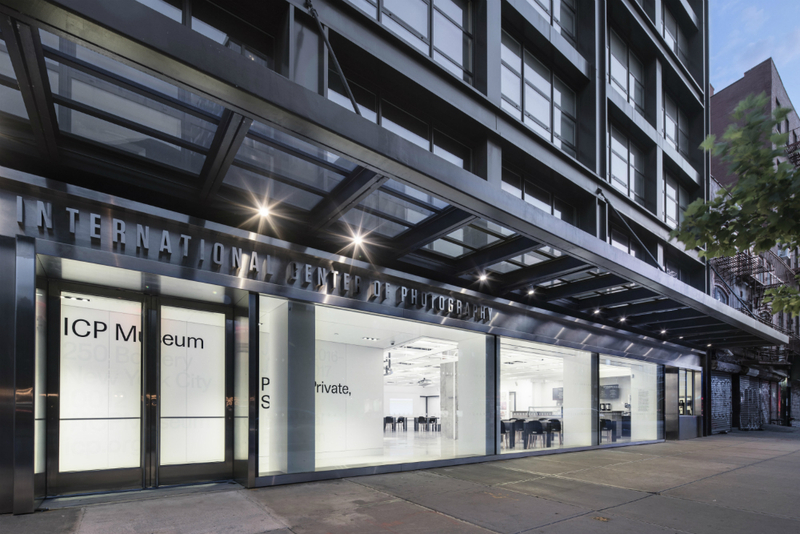 The new center houses undergraduate architecture, studio art, and art history departments and has brought increased movement to the center of campus, including students looking for space to sit, read and socialize between class. This addition to the campus has also brought attention to the unused atrium space at Altschul, which houses faculty offices and labs. The the idea behind the atrium installation is to encourage a more interactive relationship with the Altschul space as well as with other neighboring buildings on campus. Students and faculty of b+c a have envisioned an installation that accommodates multi-use programming and one that focuses on the importance of flexibility and function. Beginning with a student design competition addressing how best to use the communal space during the academic year, the team developed a design for the atrium. Common room worked with b+c a alumni and current students to design and fabricate a series of plywood and colored mirror pieces that reinforce a spatial concept of overlapping hexagons. As described by common room, "The hexagon operates at three different scales for this project—the scale of the campus, the scale of the atrium space, and the scale of the modular furniture unit." Engaging at all three scales, the atrium installation invites an opening to the larger campus through formation of smaller enclosures within which students can hold exhibitions, informal meetings, and populated events. Low hexagonal stools composed of a plywood shells and stuffed canvas cushion can be reconfigured in groupings around the space and are also easily stackable. With the help of alumni and student volunteers at b+c a, pieces of the atrium will be assembled and installed for use at the start of the academic year. Come September, students will be able to further program the space with use of an interactive events calendar, which will be projected nearby.